More than 100 people attended the “Harvested Alive-Ten Years of Investigations” film screening at NSW Parliament House last Wednesday, April 11. The audience response to the documentary was overwhelming with many expressing feeling a sense of urgency after watching the film for the need to end crimes of forced organ harvesting in China. Many signed petitions and said that Australians and the Australian government can do more to stand behind human rights. The one-hour award-winning documentary details significant evidence that has been gathered regarding the state-sanctioned, military-controlled forced organ harvesting of prisoners of conscience that continues to occur in China. The film was produced shortly after the release of a 2016 report by the World Organization to Investigate the Persecution of Falun Gong (WOIPFG) on crimes of live organ harvesting from adherents of Falun Gong in China. The report compiled evidence of which 95 percent was sourced directly from the doctors, judges, legislators, military officials, government officials, the media, and hospital websites found to be linked to organ harvesting activities in China. The investigation and research revealed an unthinkable situation – that China’s state-controlled hospitals, judiciary, and military had been working together under the authority of former Chinese president Jiang Zemin to mercilessly slaughter persecuted Falun Gong practitioners and harvest their organs. 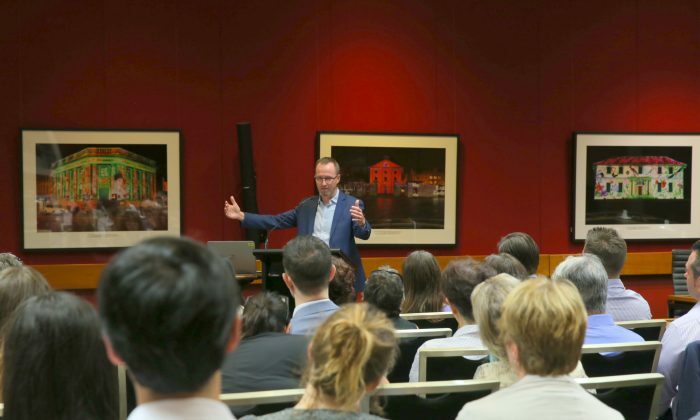 NSW Greens MLC David Shoebridge who hosted the event told the audience: “I had a conversation with an organ transplant surgeon from Sydney. “On the other hand, they have an infantile organ donation system. The Chinese culture is resistance to the organs donations. They have only begun voluntary organ donation last few years ago. “Put that together, and you get maybe 5000 donations a year but the Industry has the capacity to deliver at least 100,000 transplant a year. Where does the other 95% come from? “The shortfall must be made up somewhere … made up unethically. “That’s why we have the bill that I presented in NSW government to make it a crime for anyone from New South Wales to travel anywhere overseas and engage in unethical organ transplants,” he said. The movie screening was co-sponsored by The International Coalition to End Transplant Abuse in China (ETAC) and Doctors Against Forced Organ Harvesting (DAFOH).